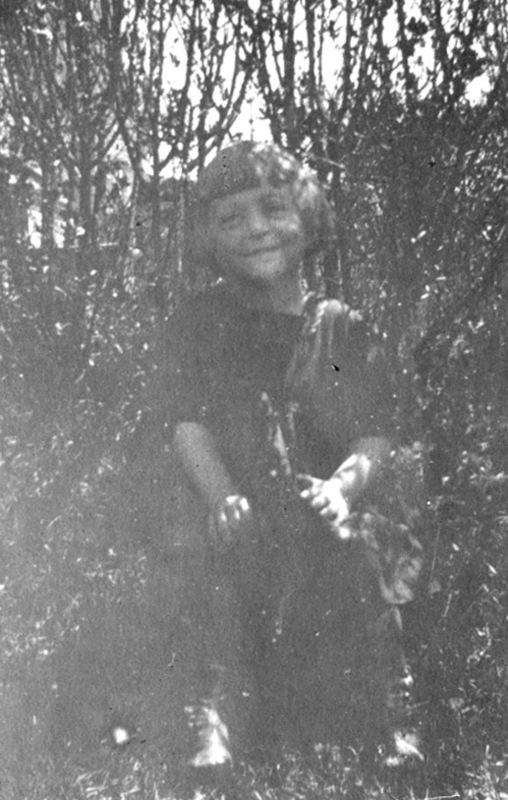 These three photographs show Mom (Grandma Cook) when she was little. They are not dated, but giving her age, they were probably taken between 1921 and 1927. 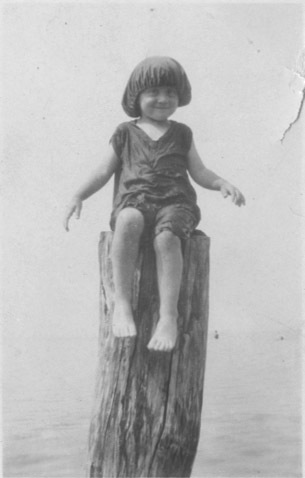 A very wet little girl sits on a post above what probably is Lake Ontario. Mom looks to be three or four in this photograph. A happy little girl sitting is a small woods with buildings beyond her. This photograph was probably taken in Rochester NY when Mom was five or six. 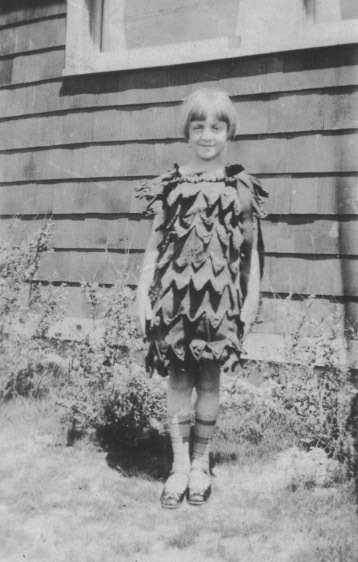 Mom told me that she was a tulip in this photograph taken when she was six or seven. The costume was for a play at school. This might have been taken at the one of her grandparents house in Rochester.